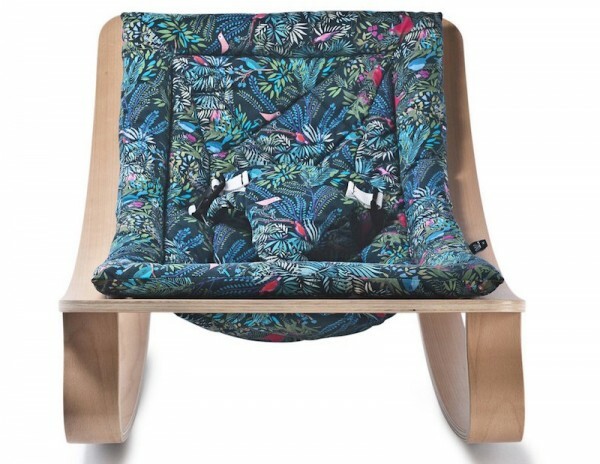 Your little lion will love sleeping in the jungle (the mighty jungle) in this funky baby rocker. From rockers to change tables, Charlie Crane sure knows how to make beautiful baby furniture. The limited edition Levo Baby Rocker with Jazz is the product of their collaboration with Parisian design company Little Cabari. With a smooth rocking motion and a fun fabric cushion, the rocker will brighten your living room while it soothes your baby. The Jazz Little Cabari has the same sleek frame as the Charlie Crane rockers we’ve shown you before. 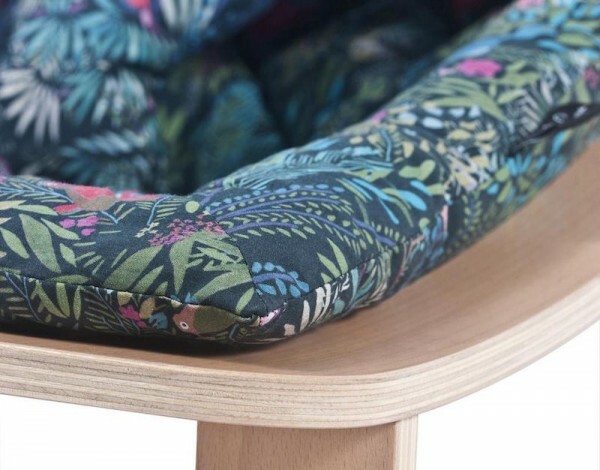 The bold jungle print created by Little Cabari adds an infusion of fun to the Levo design. The rocker comes in either beech or walnut wood, and prices start from $324. You can find details of where to buy your rocker through Charlie Crane.